A survay was conducted at Enkulal watershed, which is found in Dera District, Amhara Region, Ethiopia. The watershed was one of the sites of Tana Beles watershed development project. The main objective of the study was to characterize the existing chicken production and marketing system of the watershed. A total 52 randomly selected chicken owners were used for the study. According to the results, there were three chicken production systems in the study areas, scavenging only (3.8%), scavenging with seasonal feed supplementation (65.4%) and scavenging with regular feed supplementation (30.8%). The dominant (95.8%) chicken breeds were local ecotypes. The average chicken flock size per household was 5.8. The first, second and third purposes of chicken were; selling for cash income (48.1%), egg hatching (26.9%), home consumption (69.2%), respectively. Similarly; the first, second and third purposes of eggs were; hatching (48.1%), selling for cash income (55.8%), home consumption (71.2%), respectively. The result indicated that only 11.5% of respondents prepared separate chicken houses for birds and the rest (88.5%) kept birds in various night sheltering places like; inside their house (82.7%), under basket (3.8%) and under local sitting place (1.9%). The average age of cockerels at first mating and pullets at first egg were 26.3 weeks and 28.5 weeks, respectively. The survey revealed that 96.2% of chicken owners experienced disease problems in their area, mainly Newcastle disease (100%). The average number of eggs laid/clutch was 14.3 and the number of total clutch periods/hen/year was 3.73. 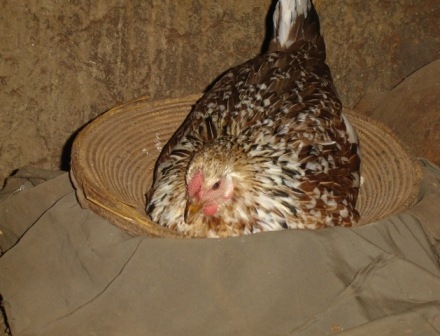 Accordingly; the annual egg productivity of hens, under the existing management condition was 53.4 eggs/hen. The average hatchability performance of hens was 82.5%. However, survivability was low (61.5%). Seasonal diseases outbreak was the major (86.9%) cause for mortality in the watershed. Seasonality of prices was the major (85.6%) chicken and egg marketing constraint in the areas. Moges F, Amare A and Ibrahim D.
An introduction and demonstration of broilers was conducted in Bahir Dar Zuria district of Amhara region, Ethiopia, in the year 2013 and 2014. The major objective of the trial was to introduce broiler chicken breeds in the area and evaluate their performance using locally processed feed. The trial was done at Bahir Dar Zuria district, Andassa kebele. A total of 420 Hubbard JV broiler breed day old chicks were purchased from Debre Zeit Agricultural Research Center and used for the study. Four jobless women were participated in this trial and each participant received 105 broiler day old chicks. 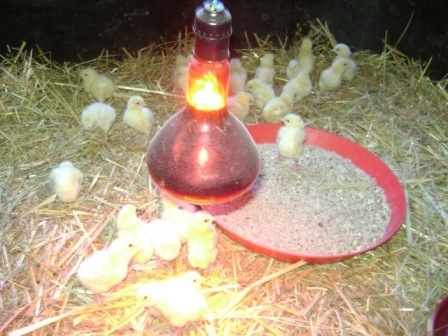 Brooding was done by using electrical brooder. Finished broilers were sold live after six weeks of growing period. The average weight of day old chicks was 41.4g. The average weight of birds at end of 1st, 2nd, 3rd, 4th, 5th and 6th weeks were 130g, 213.72g, 291.25g, 599.7, 849.9g and 1293.9.6g, respectively. The total numbers of birds died in the entire period were seven (1.8 birds/HH). The average cumulative mortality percentage was 1.7%. The average daily feed intake/bird and cumulative feed intake/bird during the entire period was 79.4g and 3335.9g, respectively. The cumulative average feed conversion ratio (FCR) was 2.3. The partial budget analysis result indicated that broiler production was profitable with a net benefit of 20.41 Ethiopian birr per live bird. The lower mortality rate and profitability of birds revealed that broilers could be reared at small holder level using locally processed feed. The result of the trial showed that boiler producers should give a due attention for the preparation of good quality feed if they could not purchase and use commercial feed. Otherwise; it will not be an easy task to bring broilers in to marketable weight within six weeks of growing period. Abosede Olayemi O, Adetola Taiwo A and Afusat Jagun J. Environmental impact assessment studies highlight the harmful effect of toxicants such as pesticides, heavy metals and industrial wastes on target and non-target species including birds. The effect of toxicant exposure on birds was used as an assessment of environmental contamination. 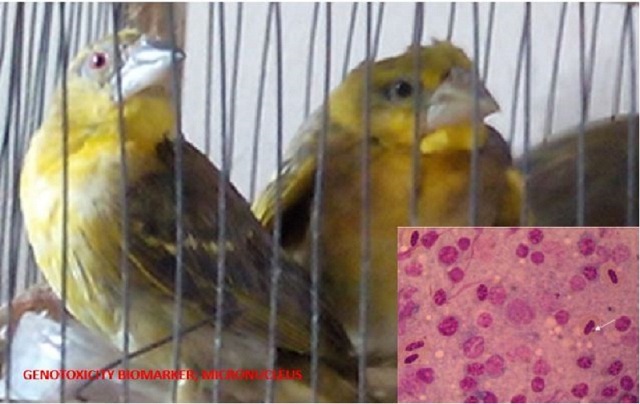 The presence of micronucleus was investigated as a biomarker of genotoxicity in free-ranged village weavers captured within Ibadan Metropolis, Nigeria. Micronucleus assay was done using bone marrow collected from tibia and femur post-mortem. The clinical, haematologic, and biochemical changes were also monitored. The haemocytometric method was used to evaluate the erythrogram and leucogram changes. Microscopy was used for histopathology. It was discovered that 20% of the village weavers were positive for micronucleus while 80% were negative for micronucleus. The tissue changes observed in this study also underscore toxicity to possible environmental toxicants. In this study, micronucleus assay was used to evaluate the possibility of exposure of village weavers to genotoxic substances.